An simple and elegent white shell necklace from papua .In papua shell are use as a form for currency for trading . 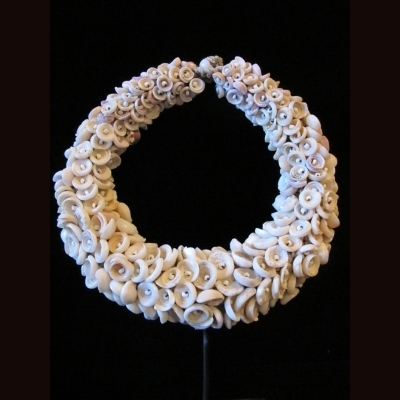 necklace like this are used as bride payment for bridewealth and are worn in important ceremonies . items comes with custom stand .